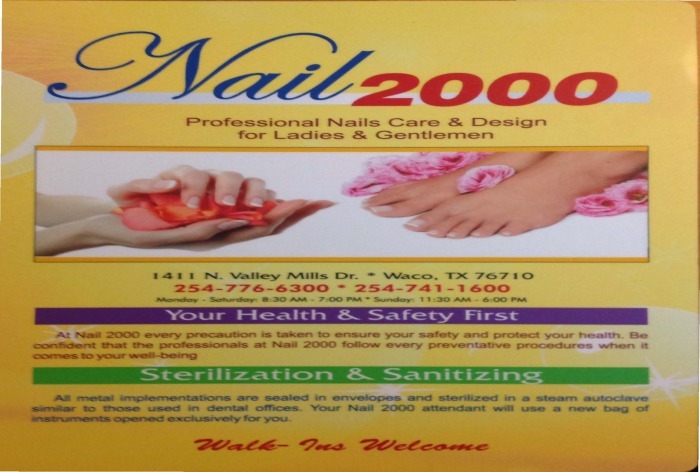 At Nail 2000 every precaution is taken to ensure your safety and protect your health. 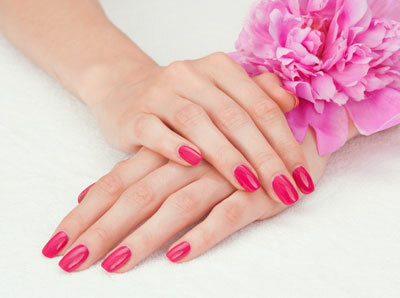 Be confident that the professionals at Nail 200 follow every preventative proceedures when it comes to your well being. All metal implements are sealed in envelopes and sterilized in a steam autoclave similar to those used in dental offices. Your Nail 2000 attendant will use a new bag of instruments opened exclusively for you. If you have never experienced a facial before, this is the perfect place to start. 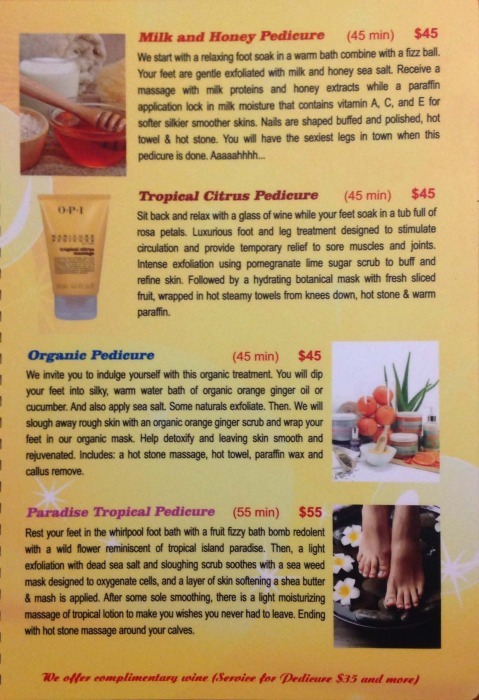 We offer an excellent, relaxing facial to attend to the needs of all skin types. 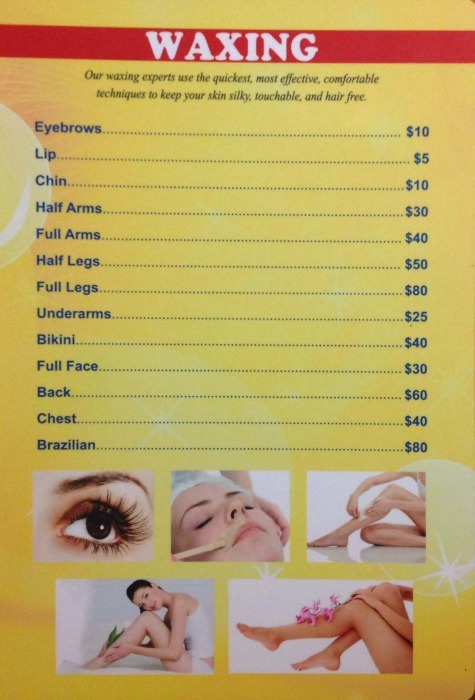 This involves acne, back, head, brown spot, sun damage, and wrinkle treatment. 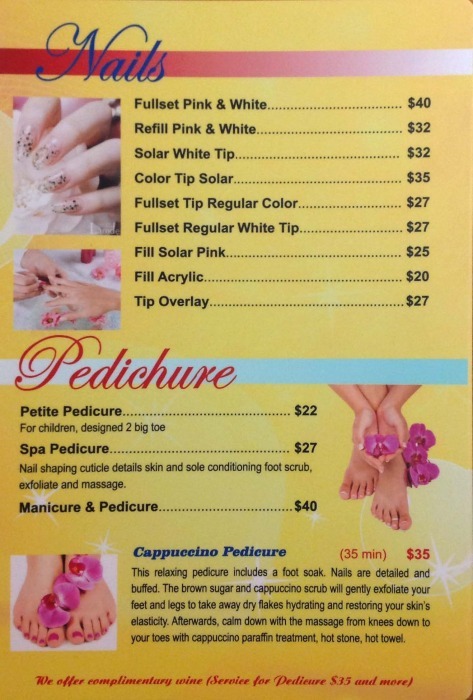 Lay down in our comfortable massage beds while you wait for our highly trained and professional salon personnel to prepare your facial experience. We begin with a cleansing of the skin and a massage using our salon quality specialty cream. 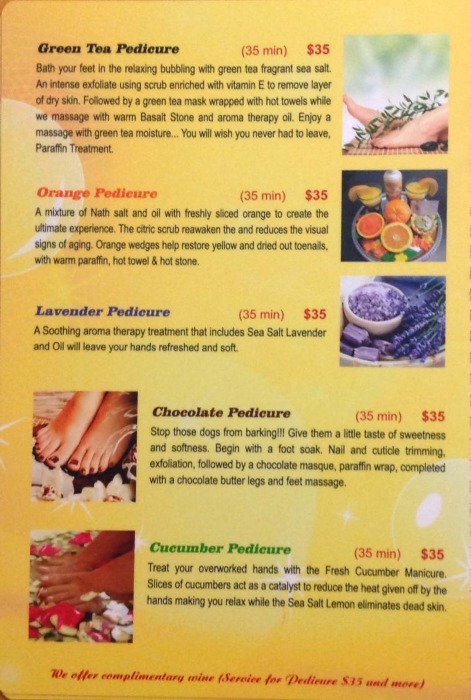 This massage will remove the oils and toxins embedded in the skin. 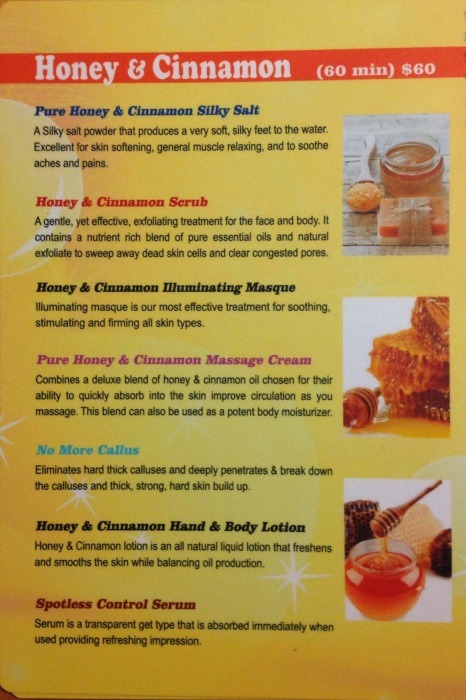 Our facial steaming environment will calm and soothe your skin. 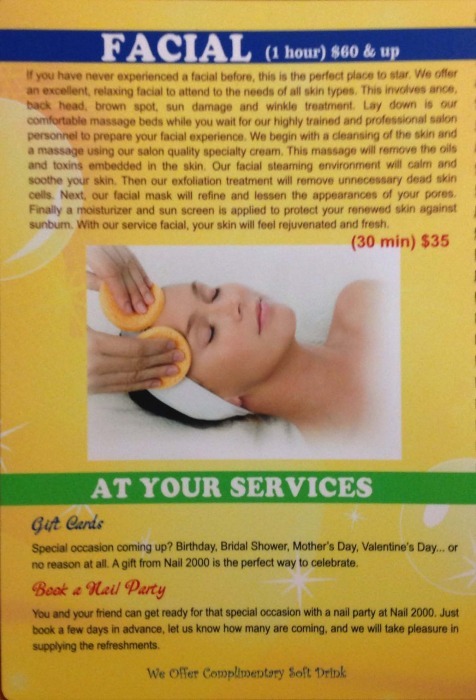 Then our exfoliation treatment will remove unnecessary dead skin cells. Next, our facial mask will refine and lessen the appearances of your pores. Finally a moisturizer and sun screen is applied to protect your renewed skin against sunburn. With our full service facial, your skin will feel rejuvenated and fresh. Gift Cards: Special occasion coming up? Birthday, bridal shower, Mother's Day, Valentine's Day... or no reason at all. 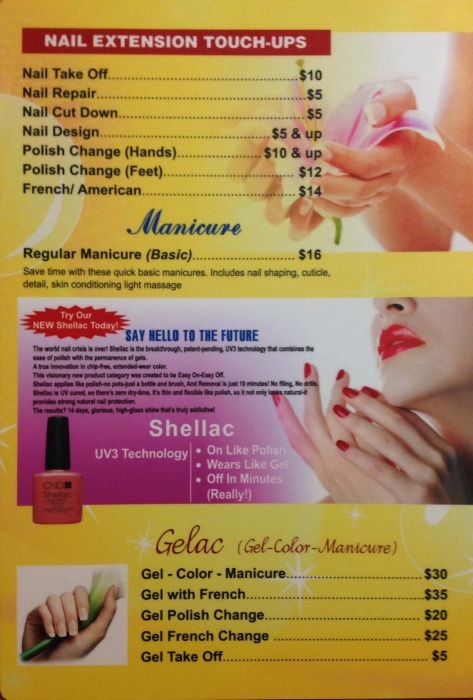 A gift card from Nail 2000 is the perfect way to celebrate. 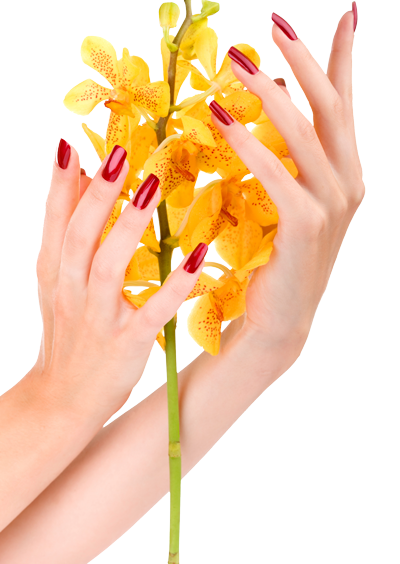 Book a Nail Party: You and your friends can get ready for that special occasion with a nail party at Nail 2000. Just book a few days in advance, let us know how many are coming, and we will take pleasure in supplying the refreshments.